Recognizing a show of any size that provided exceptional marketing to exhibitors and/or vendors. This category will be judged on creativity, impact, content, and relevance. A statistic of effectiveness should be defined in the entry (ex: increased space sold, increased number of exhibitors, increased number of sponsors, etc.). An explanation of “how the campaign/effort worked” should also be included. 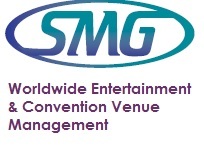 Marketing venues may include any of the following: radio, TV, printed materials, social media, etc. This is the category for something that significantly enhanced the success of your show. Entries should highlight a unique feature/aspect of your show that merits special recognition. This category is undefined purposefully as only you know your niche and event; we want to hear about what you have done to “change the game” and “wow” the show producing industry. Recognizing a show of any size that provided exceptional marketing to the consumer/public/attendee market. This category will be judged on creativity, impact, content, and relevance. A statistic of effectiveness should be defined in the entry (ex: increased attendance, increase in targeted audiences, etc.). An explanation of “how the campaign/effort worked” should also be included. Marketing venues may include any of the following: radio, TV, printed materials, social media, etc. Eligibility: Only NACS Members in good standing may enter. The event must have taken place from January 1, 2018 - April 30, 2019 to be eligible. How to Enter: All entries must be submitted electronically to the NACS office (via online form). There is no limit on the number of entries you can submit, and there is no fee. Judging Criteria: Each entry will be judged by a panel of experts selected by NACS (including producers and other show industry professionals). Each entry will be judged on a scale of 1-5 with 5 being the highest rating. Entry Submission Requirements: Each entry must be submitted electronically online at www.nacslive.com. • Collateral material (may include PDF versions of printed materials, links or clips of online commercials, videos, or website pages highlighting feature). 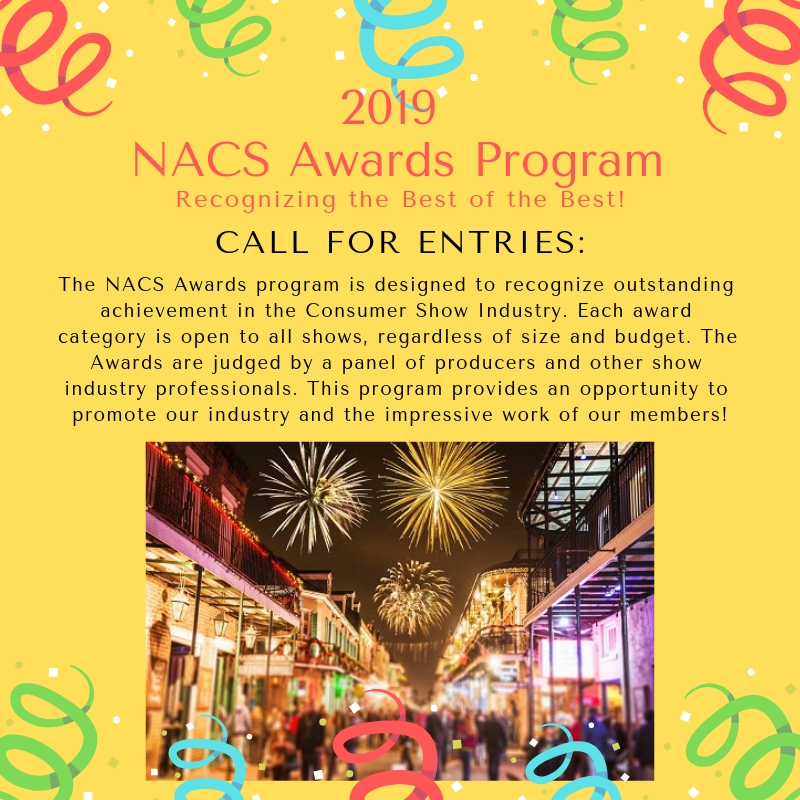 Award Presentation: The Award Winners will be announced at the NACS Annual Convention on June 27, 2019. Disclaimer: With submission of entries, you acknowledge the information may be shared with NACS members and interested parties for award program promotion. Your materials will not be sold or released for any other purpose. Click HERE to begin entry form. Be sure to include collateral/supporting material with your application. One entry per application, please.